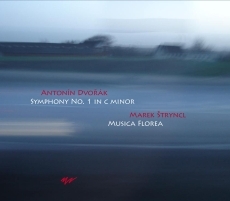 The Symphony in C minor by Antonín Dvořák – his first of nine works in this genre – is a remarkable phenomenon in every way. The story of its origin and fates forms a fantastic tale worthy of the most engaging authors of historical fiction, and yet the facts are fairly well documented. 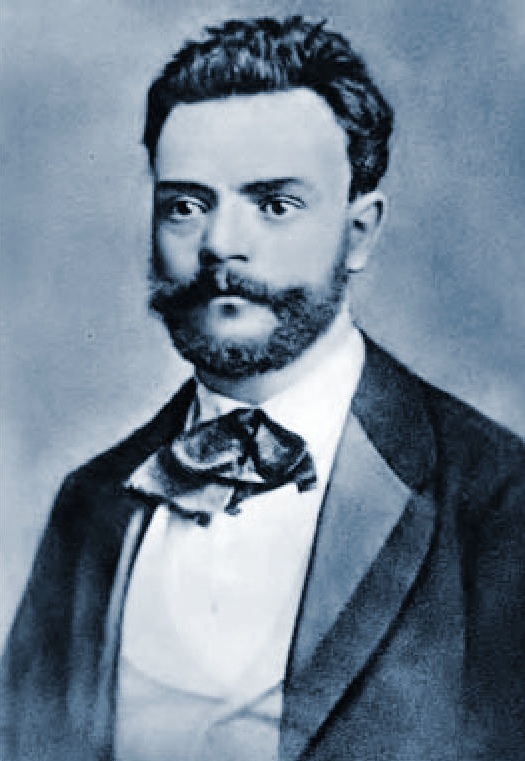 Dvořák completed the work in the spring of 1865 as a twenty-three-year-old impoverished orchestral viola player and piano teacher living in one room in Prague with four other young men. No work of his had yet been performed in public save two short organ pieces he himself had played in graduation exercises of the organists’ school. Reportedly he sent his symphony to a competition in Germany – which competition failed not only to award him a prize but also to return the score! And apparently he never saw it again. Yet it remained firmly in his memory: several times he used its themes in later works. He mentioned it to music journalists writing about his life and career, and to one of them, in 1887, he revealed that it had a subtitle, The Bells of Zlonice, apparently referring to the church bells in a town where he had lived from age twelve to fifteen, then in later years had visited his parents and siblings along with his teacher Antonín Liehmann and family. Meanwhile, in 1882, a Prague scholar specializing in Asian studies named Rudolf Dvořák (no relation) had found the score in the offerings of an antiquarian dealer in Leipzig. And he had purchased it – but he never told the composer of his find! As late as 1894 the composer had a dream that his mother-in-law (!) had found the symphony, and he was overjoyed. But it was indeed just a dream. Not until 1923, nearly two decades after the composer’s death and three years after the death of Rudolf Dvořák, was it found among papers the latter had bequeathed to his son, and made known to the public. No less extraordinary than the symphony’s origin and fates is the work itself. 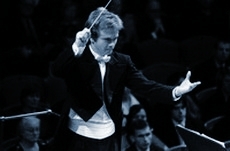 As concerns the ‘Bells of Zlonice’, no actual bells appear in the orchestra but we do hear the effect of a group of bells chiming in a repeated pattern in the winds, for the first time immediately after the brief introduction, just before the entry of the main theme with its broad upward scale. 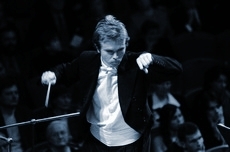 Beyond this we can only speculate about the symphony’s ‘programme’ – whether perchance it relates to special feelings Dvořák evidently harboured towards Antonín Liehmann’s daughter, or to his struggle in persuading his parents to let him pursue a career in music rather than following in his father’s footsteps as a butcher. 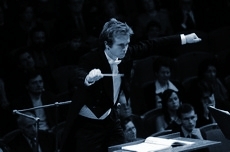 What is clear is that the symphony presents a potent drama on a grand scale, filled with strong emotions. In rough outlines the work conforms to traditional symphonic form, and we find specific references to two earlier composers who we know were Dvořák’s favourites during this period. The keys of the movements – C minor, A flat major, C minor, and C major – are exactly those of Beethoven’s Fifth, and there is even a terse ‘motto’ figure of five notes analogous to the four-note ‘fate motif’ in that work, here appearing first in the basses below the above-mentioned bell effect then permeating the opening movement and recurring in all the others as a unifying device. Another work that seems to have left a mark here is the ‘Great’ Symphony in C major by Schubert, most specifically in a passage near the beginning of the Finale (mm. 61-84) quite clearly modelled after one in Schubert’s opening movement. 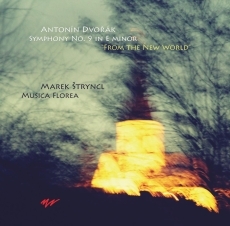 In general style, however, Dvořák’s symphony is completely original, reminding us of none of his predecessors – and also not very much of his own mature works from later years. If we were to name another composer whose style most closely resembles that of this symphony, it might be one whose music Dvořák could not have known at this stage in his career: Bruckner. But at one point in the Finale (mm. 601-12) Dvořák’s harmonic experimentation seems even to take us well into the twentieth century, with structures resembling nothing so much as another Symphony in C, by Stravinsky! Some conductors have modified this passage to eliminate its ‘errors’, thinking Dvořák could not possibly have intended these dissonances, or if so he would have removed them himself had he had a chance to revise the work in later years. 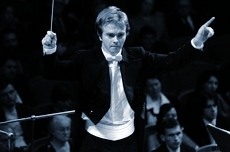 Yet in the context of this movement, of this symphony, and other works Dvořák composed during this period they do have their sense: the emotions expressed in this work are extreme, and at this point the mood of intense joy that characterizes the Finale as a whole seems to pass over into delirium. Few will be inclined to call this symphony a masterpiece: Dvořák’s lack of experience is clearly evident. But even more conspicuous is his enormous inventiveness and talent, which not only forecast a bright future for the composer but spawned here a remarkable work in some ways even surpassing those of his maturity, and certainly presenting to us as a ‘different’ Dvořák, a unique and valuable addition to the worldwide literature of music. What would composers of the Romantic era say if they could hear their works on recordings from the twentieth century? Would they be unpleasantly surprised? Maybe they would answer: They’ve finally got it right! Because in the nineteenth century they didn’t yet know how to make a proper vibrato, everybody in the orchestra bowed up and down when he wanted, and the music teemed with all kinds of glissandos and tremolos that were not written in the score and hid the players’ technical incompetence. Above all, musicians didn’t know how to maintain a unified tempo and play rhythmically. Would Antonín Dvořák really have responded this way? I think not. In 1841 Richard Wagner wrote that the performer must be the composer’s servant. He must neither add anything to nor take anything away from his compositions. It was natural that performers tried to subordinate themselves to the composer’s intention. In the twentieth century, however, thanks to a technical approach to notes on the page, typically Romantic expressive devices were gradually eliminated, considered to be superfluous and imperfect. From historical research it is clear that notation was only part of what the composer’s piece was supposed to be. We learn about a widespread conviction that phrases or even whole compositions that are repeated should never be played the same way twice! 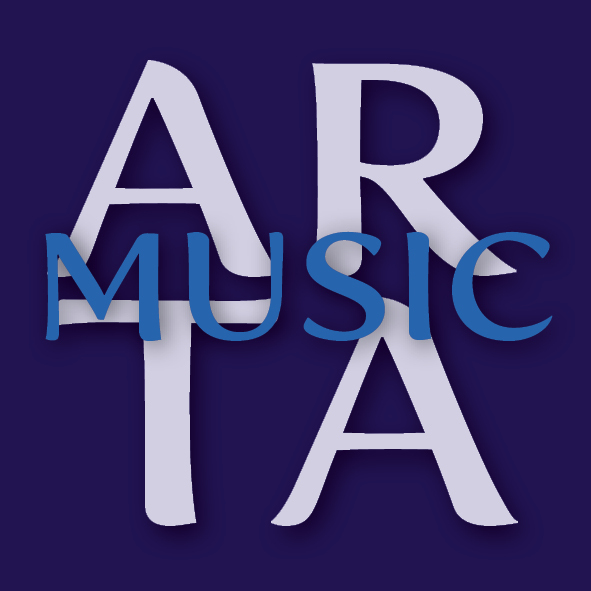 Composers counted on such creativity, as some of them demonstrated in performing their own works in the first recordings, from around 1900. Especially as concerns rhythm, their performances often do not correspond to their own notation. Frequent changes of tempo during one piece were common. Does this mean that in the nineteenth century they didn’t yet know how to play rhythmically? And that we should eliminate this intentional ‘non-rhythmic’ quality from today’s performances of Romantic compositions? We should not. The Romantic ideal lay above all in character, emotion, and passion, and rhythm and tempo should serve these aims. The ‘non-rhythmic’ factor was rubato – a free style that required changes in tempo according to the type of emotion being expressed. The emotion also determined whether some rhythmic figures (dotted rhythms) were to be made more or less crisp, without this being indicated in the notation. Over the course of the twentieth century this Romantic style was fundamentally restricted and non-musicality in expression often became the norm. It is widely believed that intense and ubiquitous vibrato is an invention of the Romantics. But this is not quite right. They knew vibrato and appreciated it. But as an ornamental element that could be used only in certain passages. (Some solo performers and composers in the mid-nineteenth century rejected it even in solo playing.) Frequent vibrato tended to be a sign of technical imperfection and amateurism. As late as the first decades of the twentieth century the famous violinist Leopold Auer criticized this vice, recommending to his pupils who used vibrato while practicing that they take a break and try it again without vibrato. Do we know that string players in orchestras (apart from a certain exception) did not write markings into their parts for uniform bowing? In 1833 Louis Spohr wrote that an orchestral player must be guided by an old rule: strong beats must always be played from the frog (moving downward) and weak beats from the tip. But what about long phrasing arches (legatos) that cannot be played with one stroke of the bow? Especially in loud dynamics? In this case it was recommended to violate the rule. And apparently it was considered ideal for each player in a string section to reverse the bow at a different moment. This avoided a break in sound that would disturb smooth profiling of Romantic phrases and melody. Today’s uniform bowing infringes on this Romantic domain! Romantic ornamentation consisted mainly in frequent use of glissando (often called portamento) and tremolo that composers did not indicate in their notation. Mere mechanical alternation of fingers under a legato slur without the longed-for gradual interconnection would be perceived as disturbingly distasteful. Performance of Romantic melodies in the nineteenth century was infused with tremendous variety and musicality, which we need to keep in mind today. And that musicality is greatly aided by use of period Romantic instruments or their copies.